TO START FRESNO'S FAVORITE RECORDING STUDIO, PYRAMID RECORDING. I chose Pyramid Recording & Mastering after interviewing most of the other top recording studios in town. Jerry helped me get my book "The Ex-Con and The Italian Princess" into audible form for ex-offenders who do not have the capability of reading. Thanks Jerry. We spent over a year on this project and are now breezing through the Mastering phase. A: Ill usually ask something like ...if you heard your song on the radio what other artists might be heard on that same station? I find that this gives me a better idea of what market they hope to hit without me asking something like who do you sound like? A: I really consider my self to be a catalyst for the artist.. I will offer my opinion but you have to ask for it. A: It is all over the map, usually first Ill get with the client and plan a detailed strategy then depending on what type of project it is we will start knocking out the basic parts and then fill out the production as needed the bottom line... do what it takes to make a good record! A: For a vocal chain I have a dedicated ISO booth with a selection of large diaphragm mics including Neumann, Shure and Lawson with API mic Preamps and a selection of limiters. For tracking and recording I have a large format analog console by AMEK and I also have a 2 inch 24 track recorder by Studer and of course a Pro Tools HD setup with all the smoking hot software. For analog mastering, I have a Manley Vari-Mu tube compressor and a Manley Passive EQ . as far as outboard gear goes I have a Universal Audio LA2A and a rack of other compressors EQs and other goodies. A: While working in L.A. studios some of my friends who were way ahead of me in the recording game were usually working on some big name acts like REO Speedwagon, Sammy Hagar, Michael Jackson and Foreigner to name a few so I was always hanging around the various studios where these records where going down and picking up on every bit of info and techniques that I could. A: I primarily specialize in rock, country and rap. 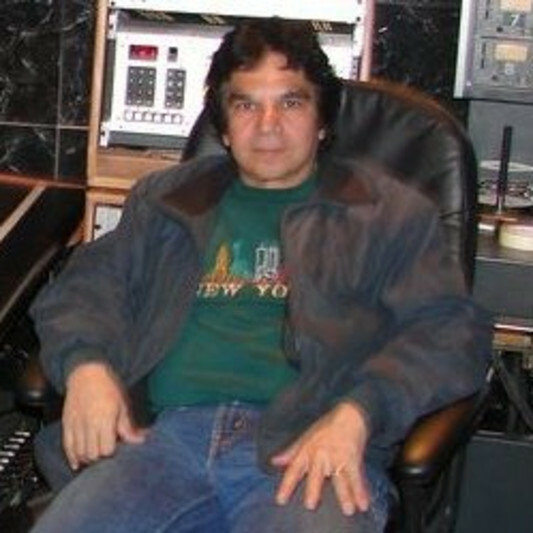 The thing I have done the most of is mixing followed by vocal production and guitar production and drums, lots of drums.I produced my first record in 1975 shortly after that I got hired as a recording engineerin a studio in Los Angeles... over the last 35 years in the music business there is not too much that has not crossed my path.